The Rt. 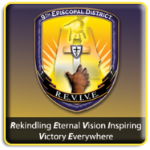 Reverend James Levert Davis, Servant Bishop of the Ninth Episcopal District delivered the message from the text Mark 11:15-18. The Subject: “A Holy House Inspection” He related the story of Jesus when he drove out those who bought and sold in the temple. Bishop Davisʼ three points were: First -- Obstruction to worship – the selling of doves for sacrifices; second --Prostitution of purpose – the exchange of money or “check cashing” service being brought into the temple; and third -- Irreverent trespassing – allowing anyone to carry wares through the temple. He charged The CHAPEL to never be found in violation of these three indiscretions. The guests list read like a “Whoʼs Who” in the Ninth Episcopal District. 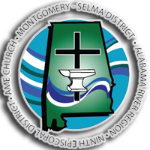 The distinguished dignitaries included Retired General Officer, Anderson Todd, Presiding Elder Albert L. Hyche, Montgomery-Selma District, Alabama River Region Conference, Bishopric candidate, Reverend James E. Arnell, and the Mayor of Pike Road, Alabama, Gordon Stone. Brother Kenneth Wiggins, trustee and administrator of BUILD 2012 said “The new sanctuary will be more than a building; it is also a testimony to how faith in God works when you trust Him.” “It is a wonderful feeling!” Bishop Davis said that in the past, the community surrounded the Church, (Murdock), but now the church will be better able to serve the surrounding community. Elder Hyche noted that this will be the first church in the Alabama River Region built under the leadership of a woman Pastor and that in itself is historical! For more details visit the BUILD IN 2012 Page.